Cooperatives across the United States are under increasing pressure to prove that all members have access to unbiased elections. Coops that do not demonstrate proper governance practices face the scrutiny of negative publicity, lawsuits and litigation. A thorough analysis of your organization’s membership demographics can help you understand how to best reach potential voters. If your organization is like many, your members are active on social media. In fact, the average American consumes more than 15 hours of media per day. * This may seem a bit excessive, however, technology has provided an addictive attachment to instant gratification, constant communication, and reliable at-hand convenience. After performing an analysis, Dakota Electric Association, located in Minnesota, found their members in search of an “up-to-date” voting system, thus introducing the need for online or electronic ballots. 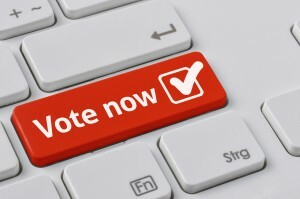 “Between Survey and Ballot Systems (SBS), Dakota Electric and the Minnesota Rural Electric Association, we managed to get a bill passed to allow online balloting for cooperatives,” said Margaret Schreiner, Dakota Electric Association board member. When cooperatives analyze the number of members who pay their bills online, it is reasonable to figure an equivalent number of members are more likely to also respond to elections and bylaw changes online. Because of this expanding way of communication, it simply makes sense to reach your members where they are at, which is increasingly in the cyber world. Explain to members a digital update to the voting process offers security, transparency, accountability, greater awareness of the candidates and issues at hand, and most importantly, customer convenience. When your cooperative embraces the addition of online voting, leadership can set goals and analyze data obtained during the process to validate the decision to upgrade. Have questions about how you can revolutionize the voting process for your cooperative? Check out our Cooperative Election Handbook for more in-depth information.